What is Find a Drive? 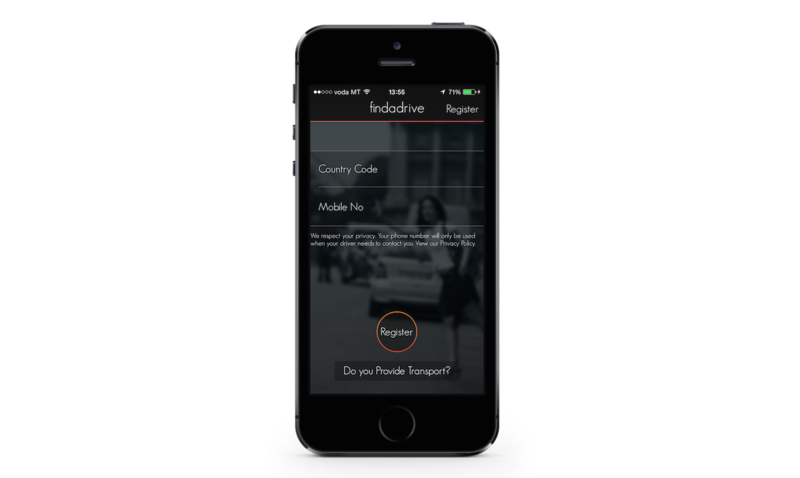 The brand, backend and mobile app development for Findadrive were all designed and developed by Vioside. 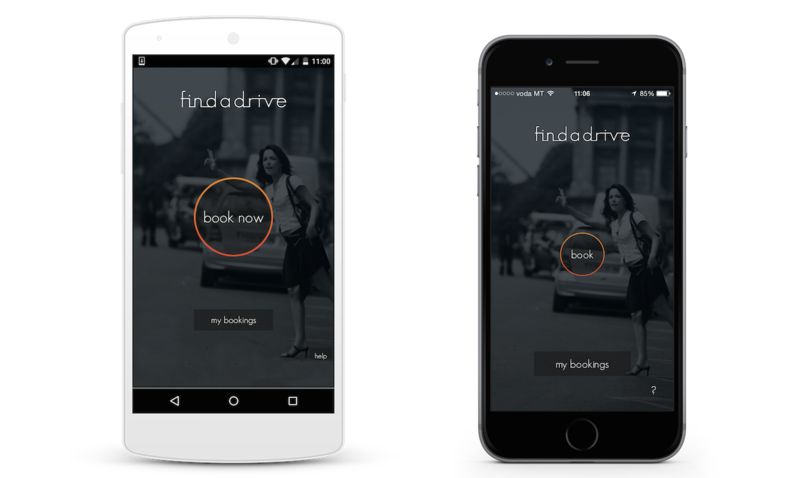 Findadrive provides taxi and cab services in Malta through a mobile app. The neat design makes it very easy to book a cab. This mobile app is available natively for both iOS and Android and can be downloaded from the App Store and Google Play. The app can be downloaded internationally, so one can have it installed before their next visit to Malta. The app only requires a name and phone number as a registration. The phone number is used to be contacted by drivers on arrival and the name is mainly used to help drivers find you. The phone number is confirmed by SMS to make sure that the correct details are registered. After registration, making a booking through the app is simple. The step-by-step screen asks a number of questions such as drop-off locations and a number of passengers, after which the app then generates the price. On confirmation by the user, the drivers are notified of your request on their phones. 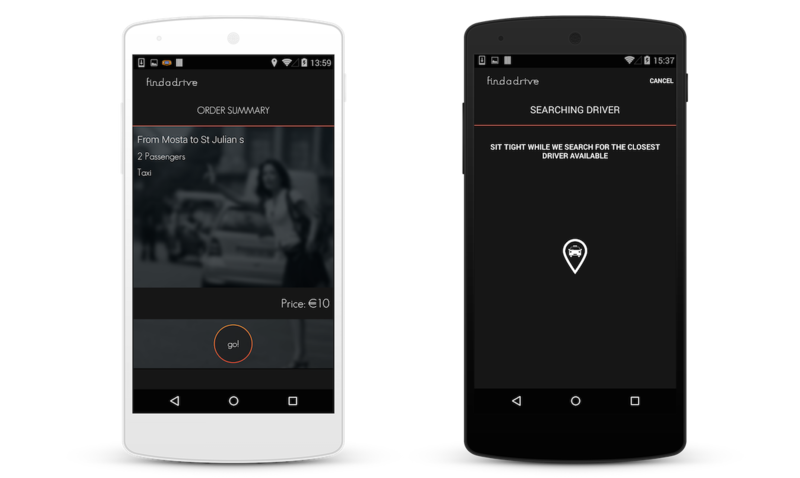 Through their app, the first driver who confirms your booking will get the job. After confirmation, you will be notified by SMS that the booking has been confirmed and you will receive the driver’s details. Please note that all drivers are hand picked and all provide good quality service.